American Persimmon | Henry Field's Seed & Nursery Co. Doesn't deserve its puckery reputation! Fruit starts out with a tangy, apricot-like flavor, but develops a rich sweetness after first frost. 35 to 60 ft. tree is lovely enough to be used as an ornamental, with golden fall foliage and attractive deep orange fruit that will hang 'til mid-winter, lending color to the winter landscape. Plant two for pollination. Zones 5-9. Zone 5 - 9 (-10° F.). Height 35 - 60 feet. 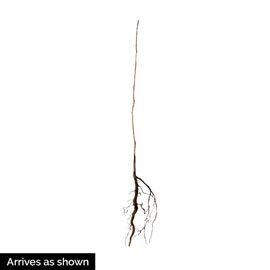 For each offer ordered, get 2 18-24" plants. Height: 35 - 60 feet. Spread: 20 - 35 feet. Foliage: Deep green, large, dense, 6 inch leaves. Flower Form: Small, bell-shaped, inconspicuous flowers. 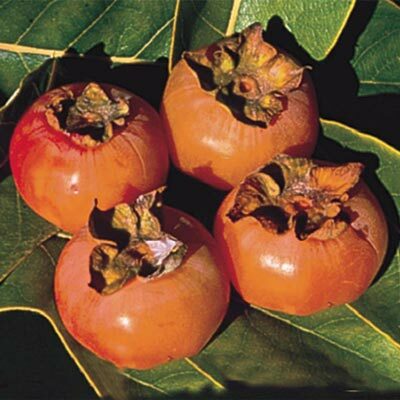 Fruit: Round, fleshy, 1 - 2 inch, yellowish-orange fruit. Pollinator: Plant two or more for proper pollination. Yield: 2 - 4 bushels at maturity.